In the 1960s, rumors cropped up that there were Communist symbols on some U.S. coins. 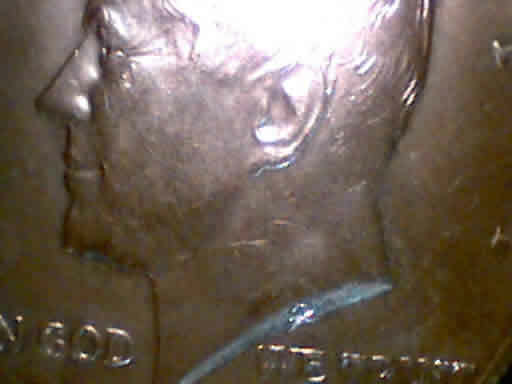 This could be seen by close examination of the Roosevelt dime and Kennedy half-dollar. It turned out that they really weren't Communist symbols after all. What were the rumors about the symbols? What was on the dime? What was on the half-dollar? What was the truth ? Every since the end of World War II, people of the extreme right-wing persuasion worried about a Communist takeover of the United States government. This reached a fever pitch during the 1950s with the McCarthy Senate Hearings on Communists in the government and entertainment industry. After President John F. Kennedy was assassinated, a new conspiracy theory surfaced. 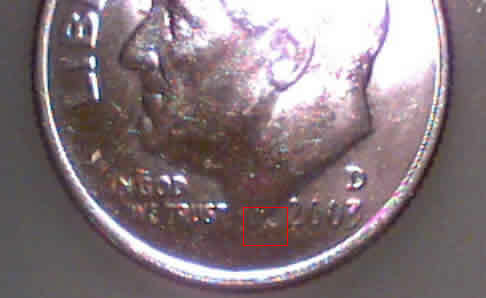 Claims were that markings on the U.S. dime and half-dollar indicated that the Communists had infiltrated the government. President Franklin Delano Roosevelt was considered extremely liberal, due to his social programs of the Great Depression of the 1930s. During World War II, the United States allied with the Soviet Union (Russia and its satellites) to fight the Nazi war machine. Roosevelt ignored many warnings about the Communist leader Josef Stalin and gave the Soviet Union excessive aid to fight the Germans. After Roosevelt passed away, the dime was minted with his likeness. 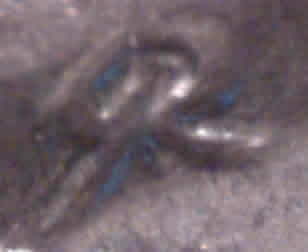 Upon examining the coin, people noticed a small "JS" near the base of his neck. To many people who were concerned about Communist influence in the United States, these initials stood for Josef Stalin and proved that Roosevelt had been in Stalin's pocket all along. Since the initials are still on the dime today, some think it is an indication that Communists continue to run the government and want to commemorate Stalin. After John F. Kennedy was assassinated, a the half dollar coin was minted in his honor. People noticed that at the base of his likeness, there was a symbol that appeared to be a hammer and sickle, which was the symbol of Communism and was also seen on the U.S.S.R. flag. Since Kennedy was considered a liberal, this Communist symbol—along with Stalin's initials on the Roosevelt dime—served to prove that the Reds were on the verge of taking over the country, through infiltrating the government and U.S. Mint. Many people were alarmed by this. Although rumors spread about the "Commies" taking over, saner people realized that all coins have the signature of the person who designed them. JS were the initials of John Sinnock, who designed the Roosevelt dime. 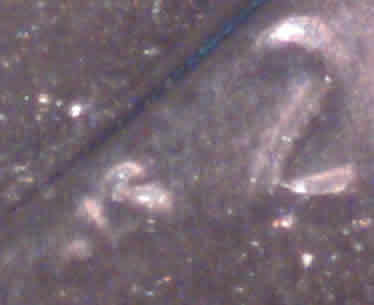 The hammer and sickle was really a script rendition of the letters GR for Gilroy Roberts, who designed the Kennedy half dollar. Many conspiracy addicts would never accept these facts until the Soviet Union disintegrated and world-wide Communism was no longer a threat. The conspiracy theory that the Communists had put their signature on U.S. coins was completely false. But the possibility worried many people during the Cold War era.